I leave this morning for a week in the Ouachita National Forest. It is near the border of Arkansas and extends quite a ways into that state. The Ouachita Trail is there, all 222 miles of it. I have only spent a day hiking a few miles of it, starting at Talimena State Park. It was late enough in the season for most of the leaves to have fallen from their trees. The result was near sublime: a forest stark in simplicity, little more than stalks of naked trees as far as I could see and extending farther than I could walk. Perhaps one day I will walk the entire length of the trail, but the time for that has not yet arrived. The problem with walking the entire Ouachita Trail is that the only time of the year when I have time enough to solo backpack 222 miles is Summer. This is also the time when the trail is most humid, water-starved and buggy. It is also when black bears are out and about. The bears can be dealt with of course. It is the lack of water that is the real issue. Being thirsty in a humid forest is very unpleasant. Once experienced one has no desire to repeat it. Another thing is that backpacking here in the US seems a bit, well, tame. I admit I have little experience doing walkabouts in my own nation. 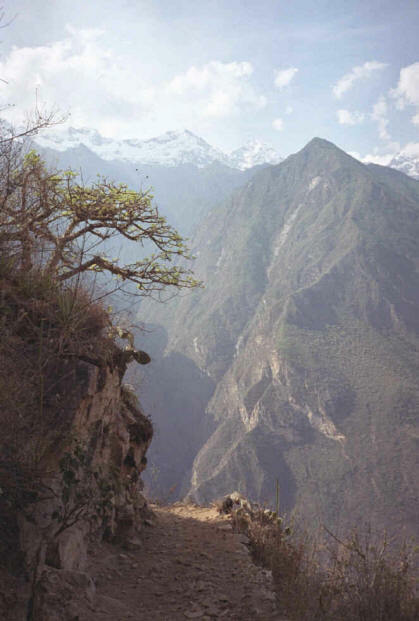 My backpacking resume is filled with things Central and South American. I have read much about backing in the US and have talked much with those experienced in it. So far little of what I have read and heard really entices. Certainly none of it is remotely as appealing as crossing some Andean ridge or disappearing into the Guatemalan jungles. As I become more experienced in backpacking in my own nation my views might change, and maybe change radically. But as long as there are parts of South America that have yet to feel my boots---Ausangate, Laguna de los Condores, Alpamayo---my heart and soul will always desire wild things far and away from my home. Who assassinated Philip II of Macedon? Though Pausanius was the actual killer, there are a number of other suspects. Did he act alone or was he in the pay of someone else? Was that 'someone else' Olympias? or Darius III of Persia? or perhaps even Alexander? But Pausanius by himself had ample motive to do the deed. He had been shamed and insulted by the king over an affair of pederasty. (The details of this squalid event are best left unmentioned.) The motive of Olympias was to insure her son Alexander became king of Macedon rather than the year-old son of Philip and his new wife, Eurydike. Add to this her loathing of her husband and you have all you would need to accuse her of conspiracy to murder. The Macedonian royal house was a bloody one. After becoming king Alexander ordered some judicious executions, exactly as his father had done when he had become king. Olympias did her part by murdering Eurydike and her baby. Such killings were standard political practices of the day and were seen as a way to avoid civil war. Now secure on the throne, the 20 year-old Macedonian king launched an expedition against some rebellious northern tribes. This campaign took him all the way to modern Bulgaria and the Danube and demonstrated that he was indeed Philip's son. Speed of movement, superb intelligence, improvisation and innovative cavalry techniques marked this war. Secure in the north, Alexander now marched south. The Greek states had heard a rumor that Alexander was dead, and so they had risen up against their Macedonian overseers. The leader of this revolt was Thebes, though Athens took part as well. Alexander was furious at what he saw as a betrayal of solemn oaths given to his father Philip. He marched his army at a speed faster than Patton's in Sicily and appeared before the gates of Thebes long before anyone expected him (335). Alexander would make a point with the Thebans. He was soon to march against Persia, and could not afford a revolt in his rear. The point he made was the one Rome would make against Corinth and Carthage (146). Thebes was demolished and its peoples sold into slavery. Alexander's ferocity was duly noted. Until his death in 323 there were no further serious rebellions in Greece. Now began the great Persian Campaign (334-330). [In my vision] I saw him come close to the ram [Medo-Persia], and he was moved with anger against him and he Alexander the Great] struck the ram and broke his two horns; and there was no power in the ram to stand before him, but the goat threw him to the ground and trampled on him. And there was no one who could rescue the ram from his power. At now, at the beginning of his greatest conquests and of the most astounding adventure in history, Alexander disappears from us. He leaves the realm of History and enters that of Poetry. For no one now can say for sure what ideas danced around in the young king's mind. We know the raw facts of his life during the Persian expedition---of battles more numerous than the stars, of brilliant sieges, of an astounding military genius that never entertained defeat, of a young man forcing his will upon more than half the world. But these are mere incidents in his life, and he died too young at 32 for us to him as well as we know other great captains. Caesar lived to be 56, Napoleon 52, Hannibal 65, Scipio Major 50. We can more surely judge these men as they simply lived longer than Alexander and left more evidence of their inner lives. Napoleon and Caesar wrote voluminously, for example, yet from Alexander we have virtually nothing---not even a treaty or tax document. The ones who knew him personally and wrote about him, such as Ptolemy, Aristobulus, Nearchus, Onesicritus and Callisthenes, left much but most of it is lost. Their works survive only as sources used by later historians such as Arrian, Diodorus and Curtius. Alexander's remarkable career took him to the ends of the earth, and there is ample evidence to support a number of conclusions about what sort of man he was and what he planned to do with his conquests. Was he merely a thug? We cannot deny that his campaigns caused the deaths of perhaps 1,000,000 in what were surely mostly elective wars, wars for land and glory. Was he merely some dreamy-eyed romantic? No one can ignore Alexander's hold on the imaginations of men. A whole series of Alexander Romances began to appear shortly after his death and continued to be written on into the the Middle Ages. These fantastic tales were written in all the major languages for 2000 years. A military genius? Most certainly. He never lost a battle, whether a set piece example of tactics---Guagamela, Issus, Hydaspes---or a series of grueling guerrilla wars. All the great captains of the ancient world lost occasionally---all except Alexander. An example of the military machine developed by Philip but improved upon by his son---the machine that, along with the Macedonian cavalry, would destroy the Persian Empire---is the phalanx armed with the sarissa, the 21 foot spear carried by foot soldiers. These Macedonians of Alexander marched with their king and their sarissas until the ends of the earth. They became the most lethal military of the age, never conquered, and swept away all before them. The sarissa's song is a sad song. He pipes it soft and low. But war is all I know. This is what spelled the end of the old Greek hoplite warfare and thus the entire basis for the ancient city-state. It ended the old Hellenic world in the same way that the English long bow ended feudalism. This form of warfare ruled the world until the battle of Cynocephalae (197). It was to return in the form of the Swiss pike during the Renaissance and maintain its supremacy until Waterloo (1815). It lives still on the parade grounds of the American military. 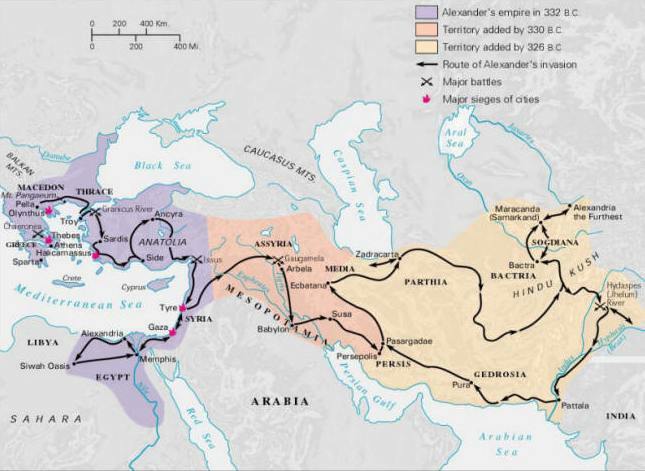 To look at a map of Alexander's conquests is to be stupefied with its breadth and length, with its sheer magnificence, with its hundreds of tribes and cities and nations. One sees the first possibilities of a truly world civilization, one humane and sophisticated, speaking one language and acknowledging one government. A world where Euripides and Sophocles and Aristotle and Archimedes would be taught from the Atlantic to China. He planned on continuing beyond India to China, but his men refused to go further. After his return to Babylon (323) Alexander drew up plans to conquer Arabia, then Carthage, then the Romans. Given his will to rule he would have controlled all of the known world before he reached the age of 40. For once we can clearly see his mind at work. He believed in a new race, a new society---in fact, an entirely new world where Macedonians and Persians and Bactrians and Indians and Carthaginians and Romans would inhabit the same civilization. All this was not to be, alas. For he met his death at 32. As though a youth pent on a rocky islet. A coffin was measure enough to contain him. His dream vanished when he died. His captains began to fight over his empire, and for 40 years the Hellenistic world from Macedon to India was convulsed by wars and rumors of wars, wars both civil and imperial. Then his officers began to rule, each in his own place. They all put on crowns after his death, and so did their sons after them for many years; and they caused many evils on the earth. But nothing came of them, for no one could be 'the next Alexander.' The empire of Alexander split into several competing parts, each governed by one of the dead king's generals. By 30 BC Rome had devoured it all, the last part being Cleopatra's Egypt. The impact of Alexander upon the world, upon history, continues to this day. There is scarcely anyone on earth who has not heard of him. Afghan tribesmen still sing of his glory, dozens of biographies of him are written each year and there is an entire discipline called 'Alexandrine Studies.' Because of Alexander Paul was able to travel through Asia Minor and preach the Gospel in the native tongue---Greek. It is good---and enough---to behold and suffer, once in a millennium, the power and limits of the human mind. I will end with one of the hundreds of revealing tales of Alexander's life. Five years after his death his generals decided to meet in Babylon in an attempt to come to an agreement. But the pettiness, the bitterness and envies could not be overcome. They squabbled and threatened, until Perdiccas suggested they meet in Alexander's throne room, untouched since his death. Then they stood before the place where their king had ruled the world. They stared in silence at Alexanders' throne, and even though the king was long dead all there could feel his presence. 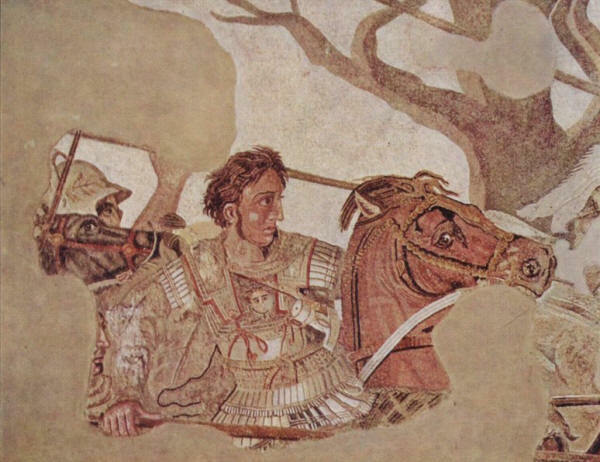 Alexander dead could still hold captive the imagination and awe of men. The workers let me camp nearby, and we shared food and talk. One of the workers told me that the US had captured Saddam Hussein. I was incredulous. 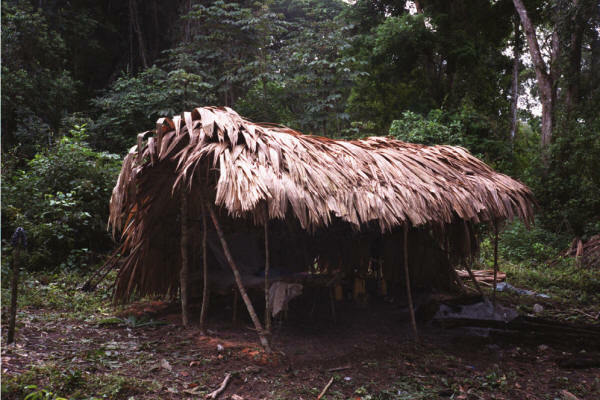 How could these guys who spent much of their lives living deep in the jungle possibly know this? One of them showed me a Guatemalan newspaper. 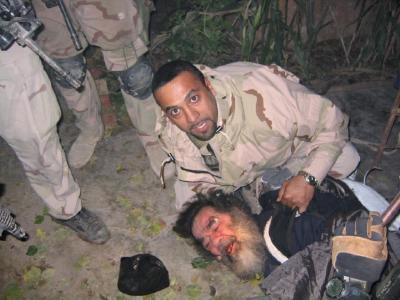 Sure enough, there was a picture of Saddam being pulled from his spider hole. The Guatemalans seemed as pleased as I was. I could only smile. I will be in Peru for ten weeks this Summer. 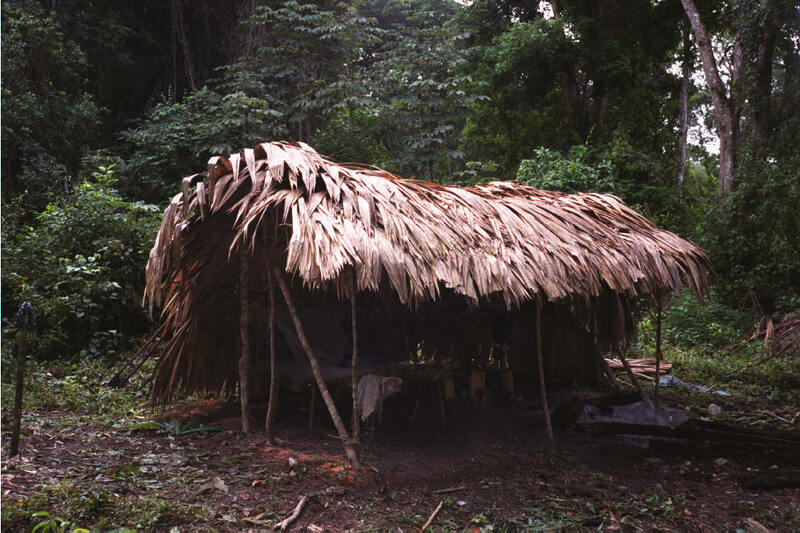 Perhaps one day I will camp near some native village and be told that Saddam had been executed. I will smile then too. And celebrate with a pisco sour as soon as I can find one. You scored as Roman Catholic. Surprise, surprise, I am Catholic. And not some watery, so-so, pacifistic, 'why can't we just get along' ecumenist weakling, but a full-bore, pedal to the metal ultramontane. Catholicism is right, the other religions are wrong. Period. Some are a little wrong, some a lot wrong, but none can claim to be the religion founded by Christ. And I would expect any follower of any religion to speak that way about his own faith. I do not care that he be Evangelical or Hindu or Muslim or Zoroastrian. If he is not a strong believer and apologist for his faith he is worthless, mere chaff. God wants soldiers not appeasers. I would rather enter into spiritual combat against Beelzebub with a full-bore Moslem on my side than some weak-kneed Presbyterian. If any follower of any religion is not willing to uphold it to the death then his religion must not be worth much. For all of us of whatever faith will one day see the face of Christ. At that instant all will believe. Some will be filled with joy, some with terror. There will be surprises. We will not be asked about the number of Rosaries said or Bible verses memorized or trips to Mecca accomplished. We will be asked this: Did we feed the hungry, clothe the naked and comfort the widow and orphan? If you answer 'no' to these questions you are in serious trouble. Turn your life around right now and believe in something greater than yourself. If you will not do this, than go ahead and eat, drink and be merry. For tomorrow you die. Reader, I am writing about myself as well. For every time I look into the mirror I see the 'itching ears' of the Corinthians.